His extensive knowledge has been broadcast in a number of articles-of-the-day, and reported in daily-community-spotlight along with being listed in Recommended Resources for MVC section on the Official Microsoft ASP.NET Community Site. He has rewarded as Microsoft MVP for his exceptional contributions in Microsoft Visual Studio and Development Technologies. Shailendra is the author of some of most popular e-books which encompass technical Interview on Node.js Interview Questions and Answers , ASP.NET MVC Interview Questions and Answers , AngularJS Interview Questions and Answers and LINQ Interview Questions and Answers. Furthermore he is a technical reviewer for book on ASP.NET MVC 4 Mobile App Development. 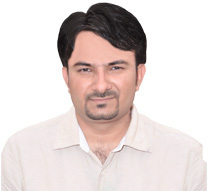 Shailendra Chauhan is renowned for sharing his working experience, research and knowledge through his reputed and widely subscribed to blog - www.dotnettricks.com. Specifically, his blog www.dotnettricks.com provides a vast storehouse of knowledge and support resources in the field of .NET technologies worldwide and is listed as a non-Microsoft resource in The Microsoft Official Community Site. His blogs and training approach provide an easily accessible and highly innovative learning experience for people everywhere, and from a range of backgrounds and skill levels thereby offering the ultimate in training around the world. Shailendra's strong combination of technical skills and solution development for complex application architecture with proven leadership and motivational skills have elevated him to a world renowned status, placing him at the top of the list of most sought after trainers. "I always keep up with new technologies and learning new skills to deliver the best to my students" says Shailendra Chauhan, he goes on to acknowledge that the betterment of his followers and enabling his students to realize their goals are his prime objective and a great source of motivation and satisfaction. Shailendra Chauhan - "Follow me and you too will have the key that opens the door to success"
Are you available for consulting, training, programming book reviews etc.? He always available for book reviewing because he enjoy reading about technical programming Books. He always available for consulting or training depending on the time and requirements. Please contact him if you'd like to speak about these types of opportunity. If you need any guidance or support, then please feel free to contact him. You can also drop him an email at shailendra@dotnettricks.com. You are always warm welcome ! !